Merriam-Webster defines innovation as “the introduction of something new” or “a new idea, method, or device”. It is that spirit that reflects what is happening this week at Schneider Electric Software’s Innovation Summit: Software Conference in San Antonio. 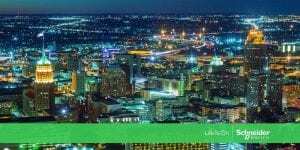 In the context of Midstream Oil and Gas, Schneider Electric is focused on driving innovation that supports the industries need for safe operations while focusing on efficiency. At the conference, a key customer will be illustrating innovation in the context of a major gas transmission and distribution operation. And specifically, how bringing processes, people and technology together can support the need for safety and reliability to drive business value. In the end, helping this customer succeed in delivering the right information, at the right time, in the right context and support their digital transformation initiatives. Schneider Electric Software continues to be a leader in pipeline leak detection in terms of its years of experience and the trust it has earned from the industry as well as the technology and vision it has. At Innovation Summit, Schneider Electric is showcasing its recently released Integrity Operations software. This brings innovation in safety with enhanced Computational Pipeline Monitoring as well as playback capabilities that support knowledge capture and training opportunity. Also, released as part of Integrity Operations (and on show at Innovation Summit) is SimCentral our new Simulation Platform interface for building pipeline models. What does this mean? This advancement in ease of use is a critical step towards process simulation and operational excellence when it comes to the maintenance of pipeline management systems as they continue to grow and evolve.